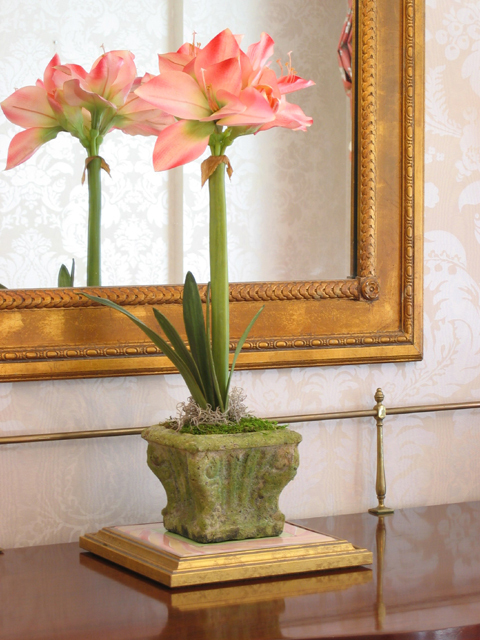 EP&P meticulously hand crafts life-like floral and botanical reproductions of the highest quality which provide lasting beauty to any decorating scheme. If you're looking for a truly custom alternative to mass-produced permanent botanicals, you've come to right place! 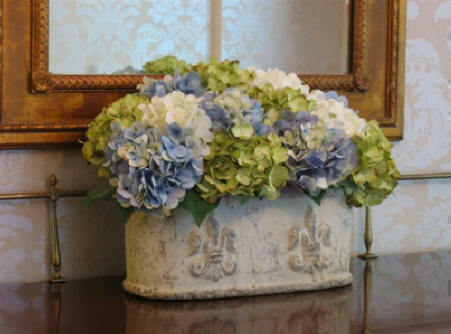 We specialize in custom-creating one-of-a kind arrangements for our customers' specific decorating requirements and also provide an extensive range of popular standard styles. 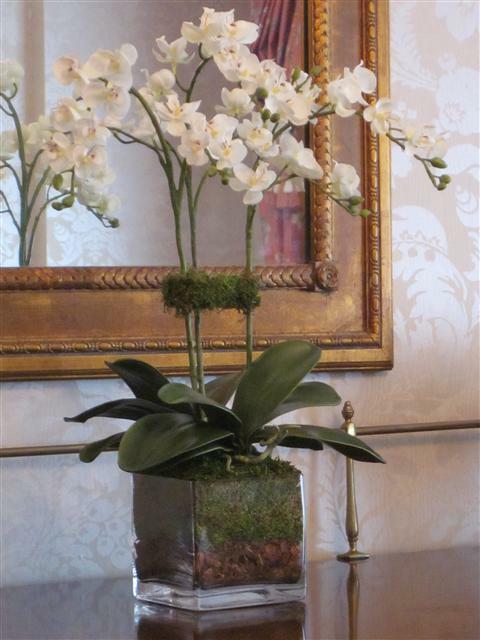 EP&P's exceptionally high-quality reproduction orchid, amaryllis, hydrangea, peony, rose, ivy, cactus and other creations are suitable for the most discriminating of tastes. 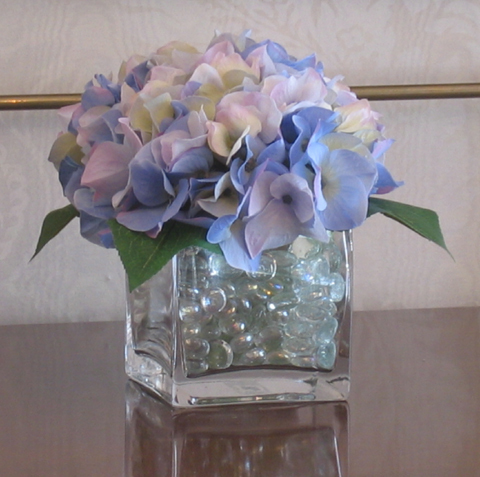 Since EP&P's floral creations are individually custom-made to specific decorating requirements, they are ideal for stylish homes, parties and special events, offices, hotels, residential buildings, clubs, and realtor staging. They make excellent personal and corporate gifts. EP&P uses the highest-quality materials available in creating its designs and welcomes inquiries from individuals, event planners, hostesses, corporate design and gift directors, decorators, floral designers, realtors, and all others who seek to enhance decors with lasting, maintenance-free beauty at surprisingly affordable prices. 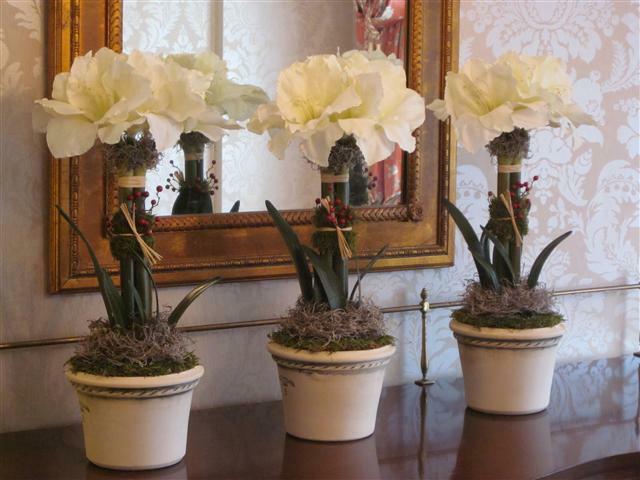 Elegant Pots & Petals' beautiful collection of orchid plants, low-cluster hydrangeas, hydrangea topiaries, roses, amaryllises, peonies, ivy topiaries, and succulent gardens are ideal for decorating, entertaining, and gift-giving at any time of year. We also design cost-saving, maintenance- free florals and botanicals for offices and commercial users. Click here to learn more. 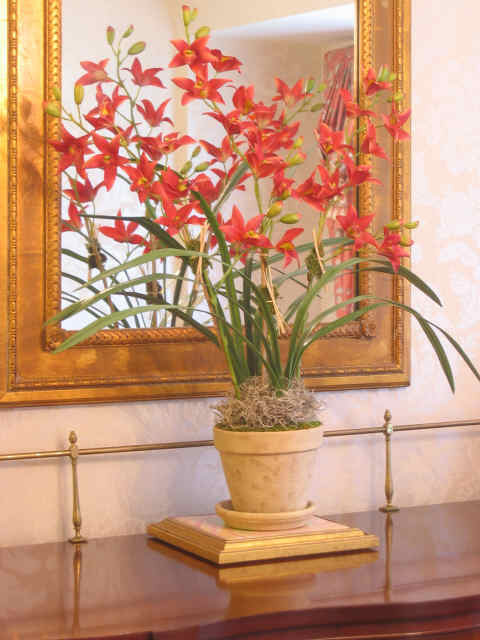 Please browse the Orchid Gallery, the Amaryllis Gallery, the Hydrangea Gallery, the Peony Gallery, our Rose designs, and the Succulents - Ivy - Houseplants Gallery for examples of Elegant Pots & Petals' exquisite reproduction botanical creations. We're continually adding beautiful new florals and elegant containers to our line and are always pleased to use your own favorite vase, cachepot, or other container in creating custom, long-lasting, and carefree designs for you. Once you've had a look, please contact us to discuss your specific decorating or gift-giving requirements. We offer no-obligation in-home design consultations to help you choose! We have scores of satisfied repeat customers who attest to the quality and beauty of our products; read what some of them have to say by clicking here. SPRING IS HERE AT LAST! TIME TO THINK ABOUT BEAUTIFUL, MAINTENANCE-FREE GIFTS FOR EASTER, PASSOVER, MOTHER'S DAY, GRADUATIONS, AND SPINGTIME ENTERTAINING. 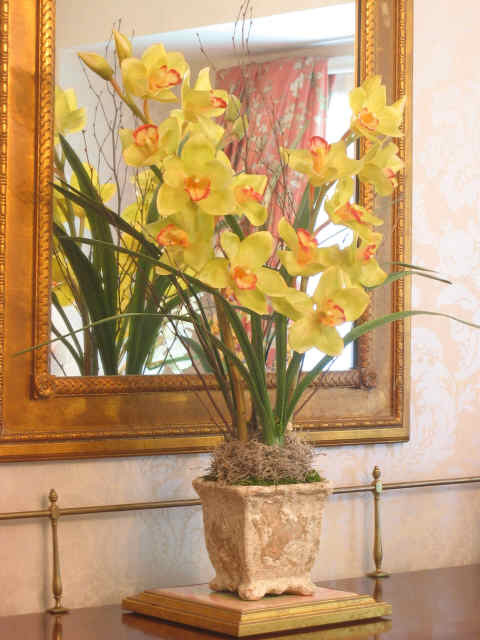 CHECK OUT OUR STUNNINGLY REALISTIC FAUX FLORAL CREATIONS IN THE ACCOMPANYING GALLERIES THEN CONTACT US TODAY FOR A FREE CONSULTATION.